Picking the right keyword makes your business more visible on search engines besides making it easier for your target customers to find you out. Consequently, your website starts attracting more organic traffic, thus, improving your SEO ranking on Google. Choosing the right keyword is the first thing digital marketers should keep in mind before rolling out an online campaign. Millions of people worldwide count on search engines in order to seek information about different product or services online. Keywords play a significant role in your content marketing tactics as they help your audiences discover the specific information that they are looking for in popular search engines like Google or Bing. How to Pick the Right Keywords? Make a list of keywords relevant to your business: The most important task is to find out suitable keywords for your niche. If you know your target audiences well, you will probably have an idea of the standard keywords used by your target audiences for searching your products or services online. 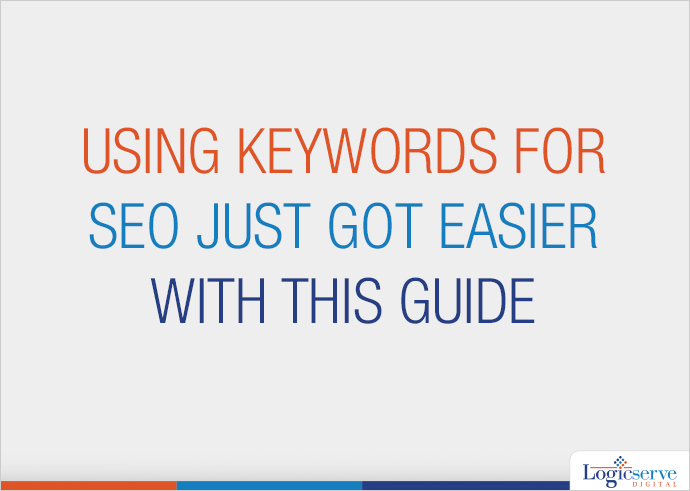 Besides this, you can try out the following tips to generate keywords for your content. To get an idea about additional keywords, type some standard keywords on your search engine to find out comparable common searches. Reassess the data of your search engine ad campaigns to find out the best performing keywords. Use Google Analytics to track different forms of traffic such as— paid, organic, social and referral traffic from search engines. By analyzing your historical data, you can easily identify the keywords that your visitors use for coming to your site. Identify monthly search statistics by leveraging keyword research tools such as Google’s Keyword Tool or SEMRush. Such tools help you identify other keywords by analyzing your website and the keywords frequently entered by you. 2. Analyze the keywords used by your competitors: Keywords used by your competitors may not be important or relevant to your business; however, analyzing the keywords that your competitors are using for improving their site’s ranking is an effective way to assess your list of keywords. Moreover, you should not avoid the keywords that are being ignored by your competitors as those keywords can help you significantly in improving your rank. Choose Long-tail keywords: Using long-tail keywords to write your blog content can lead to a momentous increase in organic traffic to your site. Long-tail keywords (consisting of 4 or more words) are keyword phrases used for describing your product or services to your consumers more accurately. Since such keywords are rarely used by other brands, they help you get higher rankings with ease. Google’s Autocomplete Keyword Tool can help you identify popular long-tail keywords. Pick General Keywords: These are one-word keywords that denote generic terms used by people for searching information. Though general keywords help generate significant traffic, they are at the same time extremely competitive and hence, costly. Use Keywords That Are More Specific: In order to use keywords relevant to your business, you should emphasize on keywords having at least two to three-word phrases as they are more precise than one-word keywords, and also bring more traffic to your site. Use Low-competition Keywords: The traffic generated from competitive keywords can prove to be a costly affair; thus, it is advisable to find out low competition keywords which are easy to compete for and can easily translate into conversions. Once you build your list of keywords, it’s time to optimize your website and its content by using the relevant keywords so as to be more visible on search engines. However, building your keyword list is an ongoing process; thus, it is imperative to improve your list by identifying new keywords relevant to your niche, on a regular basis. Should the best content be on your site or be given away?